The Conservatory has a three-tiered program: Membership, Honors, and Honors Fellow, plus an option to combine AMSE and Conservatory with the AMSE Artist Honors program. These programs allow the Conservatory to create distinct pathways for recognizing the top high achieving students in their respective fields, while broadening the scope of student involvement. For more information, contact: conservatory@vcs.net. 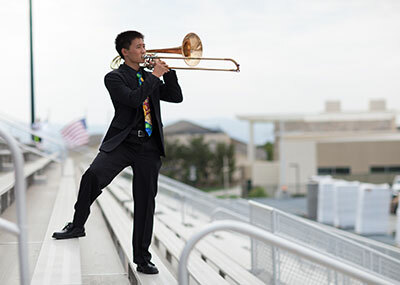 The Music department offers endless exposure to exceptional instruction, world travel, and high-caliber performance venues. Both a major and minor are offered, and students who major in music gain exposure to online college level courses through Conservatory partnerships with the prestigious Berklee School of Music. The partnership enables students to earn college credit and interact with Berklee’s top professors and other students. Both majors and minors are required to take 12 hours of private lessons each year, either off-site from their own teacher or from top instructors in the Conservatory’s extensive Private Studio Program. From participation in state and national competitions and festivals, to concerts in the historic California Theatre and Villa Montalvo, music students often play on stages typically reserved for professional musicians. Conservatory classes include Jazz Ensembles, Percussion Ensemble, Wind Ensembles, Piano, Worship Band, Vocal Jazz Ensemble, Women’s Ensemble, Symphony Orchestra, Early Music Ensemble, AP Music Theory, Introduction to Music Technology, History and Music, and much more. The Dance Arts department boasts one of the area’s most extensive dance programs and course selections. Training in ballet, jazz, tap, and hip hop, each style offered at three separate ability levels, allows students to develop their skills from beginning to advanced. All ability levels are welcome and encouraged to deepen and broaden their skills through our program. For the most advanced students, honors level Jazz III offers professional level training and performance opportunities through this collegiate dance course. Students are exposed to a wide variety of styles within their chosen discipline as well dance history, nutrition and physiology, composition, choreography, and performance training. Dance students perform in two dance concerts: a professional faculty-choreographed production in April and a student-choreographed and technically produced showcase in May. In addition, students have the opportunity to apply to choreograph for Emotions, a semi-professional dance production in November. Auditions are held for dancers for Emotions in September. Dance students are encouraged to join Nu Delta Alpha, National Dance Honors Society, to support the dance department, gain leadership skills, and participate in community service. Students who actively participate for at least two years earn honor cords for graduation. Vivid Dance Company, the highly ranked high school dance team, permits advanced dancers to achieve a professional level dance experience through performance, training, competition locally and nationally, and ministry opportunities. Auditions are held in May. Students may declare a major or minor dance arts. The Visual Arts department nurtures students to discover and grow their artistic creativity. In 2013, The Visual Arts section of the Conservatory building was opened, and includes a ceramics studio. The new course offering in ceramics includes hand building techniques as well as wheel throwing. The top floor of the Conservatory building is now completed with fantastic new studio environments featuring amazing natural light. With instruction in Ceramics, Art I, II, and III, AP Studio Art, AP Design Portfolio, AP Art History, and Photographic Design I, II, and Studio, students explore different mediums including pencil, ink, pastel, watercolor, acrylics, collage, and digital design. An indoor photo studio and industry-standard editing software offer students ready access to professional-level experience. Art students gain additional community-wide experience through poster creation, set design, and mural painting for various school, church, and theatre projects. They are encouraged to place work in competitions that provide high-level exposure to their gifts and talents. Field trips to museums and photo excursions further enhance opportunities to develop skills that give students unparalleled advantages. Each year, a Conservatory high point is the annual Art Show, an event displaying visual artists’ exceptional work. Students may choose to major or minor in Visual Arts, in photography or art, or a combination of both. Theatre Arts students receive quality training in acting, voice, movement, design, construction, and directing. Classes comprise a multi-tiered, conservatory-style training structure, encompassing both introductory and honors classes. Students may choose a major or minor in Theatre arts. The department’s theatre and technical theatre courses are among the first UC-approved honors-level courses available in California. 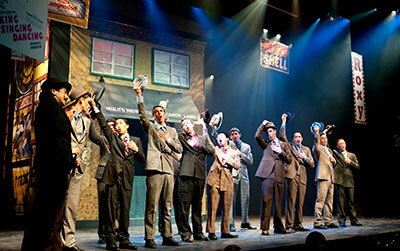 The Theatre Arts department consistently delivers some of the Bay area’s highest quality production. VCT has won “Top Honors” awards for several years, a program sponsored by the San Jose Stage Company and Broadway San Jose. The theatre department was also selected in Summer, 2012, to participate in the Edinburgh “Fringe Festival,” the largest international arts festival in the world. A group of students and staff traveled to Scotland to perform “Twelfth Night: Serenade.” The main theatre at VCHS is a beautiful proscenium-style performance space that includes a computer-operated Vortek rigging system for flying set pieces. Behind the stage, a 1,620 square-foot scene shop is fully equipped for set construction. In 2012, the new Black Box Theatre opened in the lower level of the Conservatory, offering a more intimate setting for smaller productions. Students participate in open auditions for fall plays, Christmas production, spring musical, student-directed one-act “Brown Bags,’ and the honors students’ main stage production, Experiments in Comedy and Tragedy. The Film Studies program is one of the most diverse film programs available at any high school in the country. Graduating students are often accepted into top film schools and gain professional opportunities in the motion picture industry. Students with a major or minor in Film Studies access up-to-date industry standard software, equipment, and facilities while gaining hands-on experience in all aspects of film production, including screenwriting, development, cinematography, directing, editing, distribution, and marketing. Industry professionals are often invited to conduct by the department. These workshops provide students with further training and insight into the film business along with the opportunity to build professional contacts. The goal of the faculty is to prepare each student to not only be an excellent storyteller, but also a Christian artist with influence and impact. Introduction to Film and Video, The Art of Filmmaking, 3D Film Animation, Applied Filmmaking, are among the courses offered. Students may also major or minor in Film Studies in the Conservatory Program. Using the latest 3D animation software, Autodesk® Maya® 3D, students learn modeling, animation, lighting, and designing. 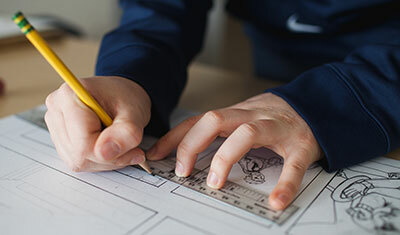 Students not only focus on the skills necessary to create and animate but also on using narrative storytelling and animation as a tool to develop and communicate believable characters and settings. Students also explore the industry itself and learn what jobs and careers are available in different areas of animation creation. 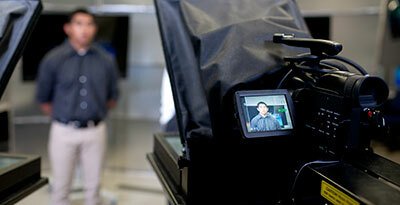 3D Film Animation, Advanced 3D Film Animation, Applied Filmmaking, are among the courses offered. Students may also major or minor in 3D Film Animation in the Conservatory Program.